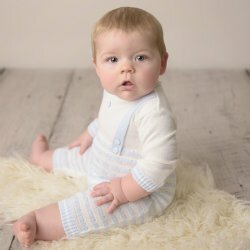 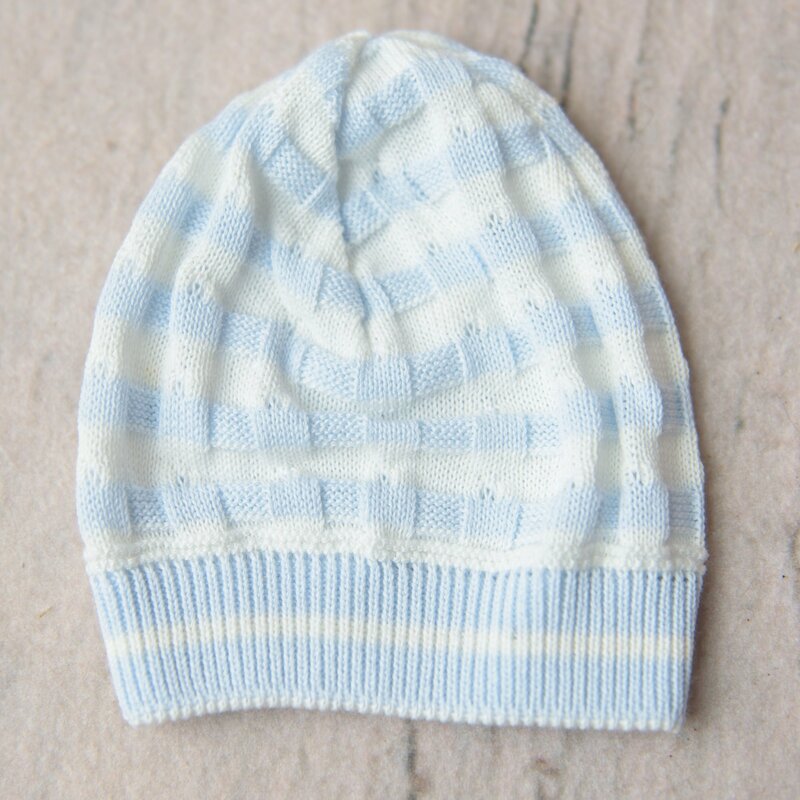 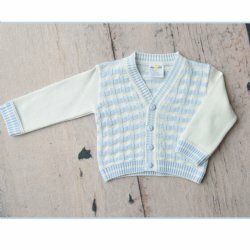 A perfect compliment to the "Liam" knit romper and "Liam" cardigan, this classic white and baby blue striped knit hat is also a great stand-along wardrobe staple. 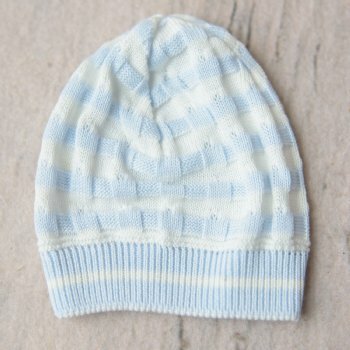 Keep your baby boy warm and stylish at the same time in Dolce Goccia's exclusive, super-soft knit! 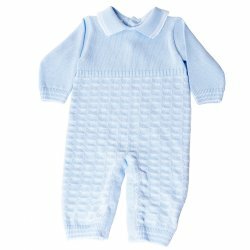 Size: Select One Newborn 3 mos.